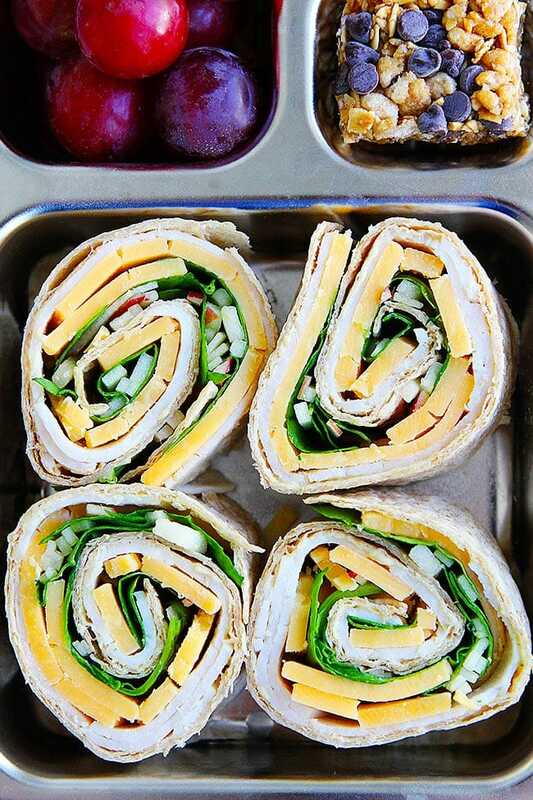 Turkey Cheddar Apple Pinwheels-Turkey, cheddar cheese, spinach, apple, and mustard get rolled up in whole wheat tortillas and cut into bite size? pinwheels. These easy turkey pinwheels make a fun and delicious lunch, snack, or party appetizer. We are officially in back to school mode. It took a few weeks to get completely adjusted, but the boys are loving school and I am loving the regular routine. It is nice to get back into a set schedule, even if that means packing school lunches every day. 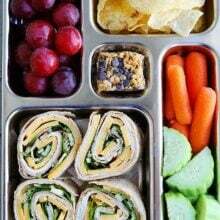 I know packing school lunches can take time and get boring for you and your kids, but today I am going to share a fun lunch idea for back to school-Turkey Cheddar Apple Pinwheels. These easy and fun turkey pinwheels will make any school lunch box more exciting…and more delicious too! Our boys love them! So what is a turkey pinwheel? Basically, a sandwich rolled up into a tortilla. 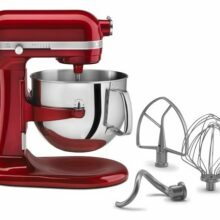 You get all of the same tasty fillings, but in a fun pinwheel shape. The pinwheels are fun to make and fun to eat. Kids love them…and adults do too! These easy pinwheels are also great for work lunches, a healthy snack, taking on a picnic, or you can serve them as an appetizer at parties. 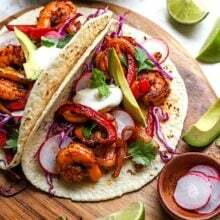 We use whole wheat tortillas, but you can use spinach tortillas or regular tortillas, just make sure you buy the big 10-inch tortillas. The cheddar and apple combo is a favorite at our house, but feel free to use your favorite cheese. For the apples, use your favorite variety and cut the apple into matchstick pieces. The apple will add a nice crunch and sweet surprise to the pinwheels. Pro tip-If you aren’t going to eat the pinwheels right away, you can squeeze a little lemon juice onto the apples so they don’t turn brown. 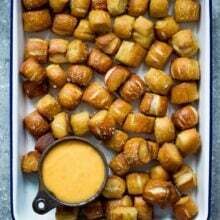 We use Dijon mustard, but you can use regular mustard or even mayo, if you prefer it over mustard. Place the tortilla on a flat surface. Spread the mustard evenly onto the tortilla. 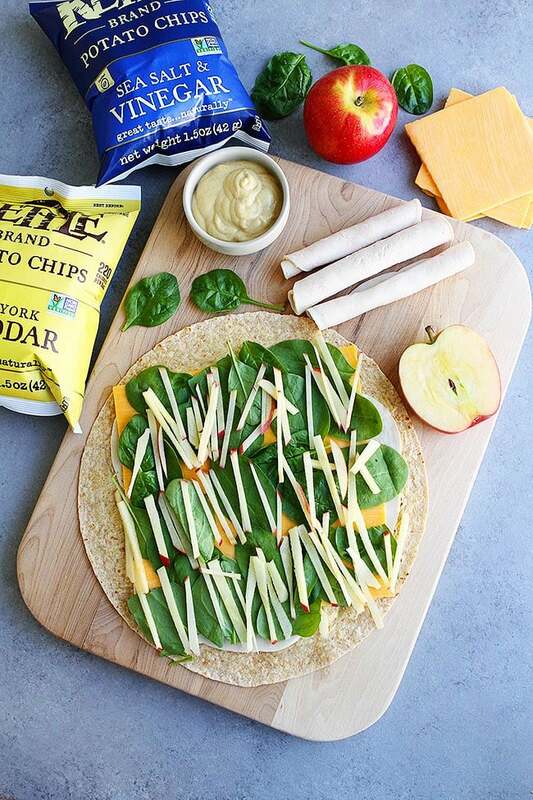 Top with turkey slices, cheese slices, spinach leaves, and apple pieces. Roll tightly in the same direction as the cut apples so the apples will roll easily. With a sharp knife, cut into 8 to 10 slices. To pack the pinwheels for lunch, place the pinwheels in a lunch box and add your favorite lunch box snacks. I like to add Kettle Brand chips (our boys love Kettle Brand New York Cheddar, Sea Salt & Vinegar, and Sour Cream & Onion chips), fruit, and veggies, and a little treat. And I highly recommend the Kettle Brand New York Cheddar Chips, cheddar with a side of cheddar chips is always a good idea! Bring on the cheese! If you want to make the turkey pinwheels the night before school to save you some time in the morning, you can! Just roll up the tortilla and wrap it in plastic wrap. Store in the fridge overnight. In the morning, cut the tortilla into pinwheels. Surprise your kids and make these fun Turkey Cheddar Apple Pinwheels for their lunch box! They will love them! 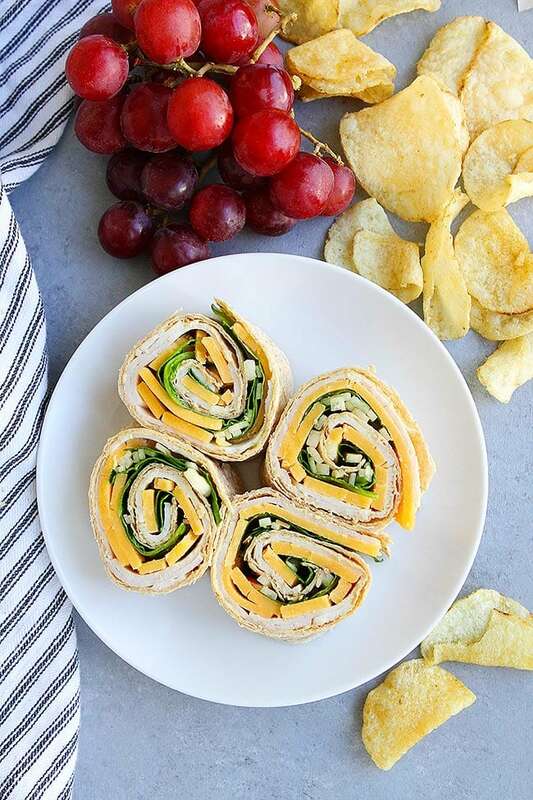 Turkey, cheddar cheese, spinach, apple, and mustard get rolled up in whole wheat tortillas and cut into bite size pinwheels. These easy turkey pinwheels make a great back to school lunch! Roll tightly in the same direction as the cut apples so the apples will roll easily. With a sharp knife, cut into 8 to 10 slices. 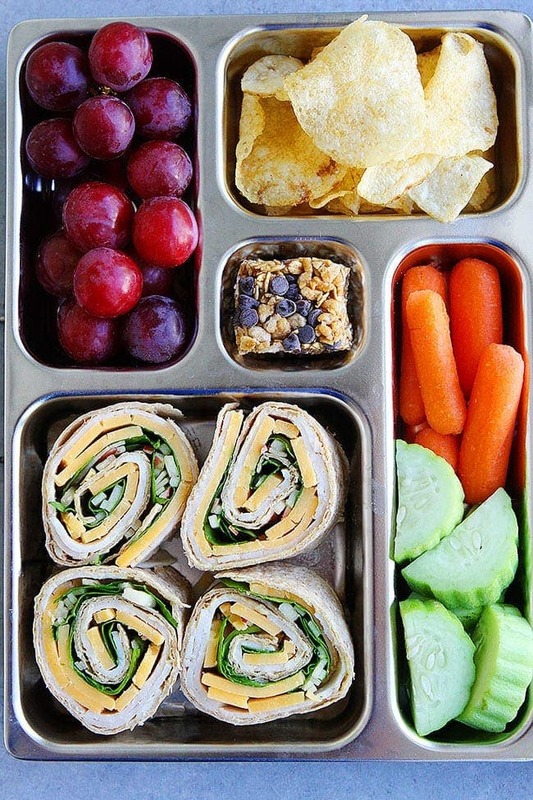 Serve immediately or pack in the pinwheels in a lunch box with Kettle Brand chips, fruit, and veggies! Could you please tell me where you got the lunch container? I’m not sure if this is where Maria got theirs, but here’s where I found mine. You can find the lunch box here: http://bit.ly/2oXXi0I. We love it! 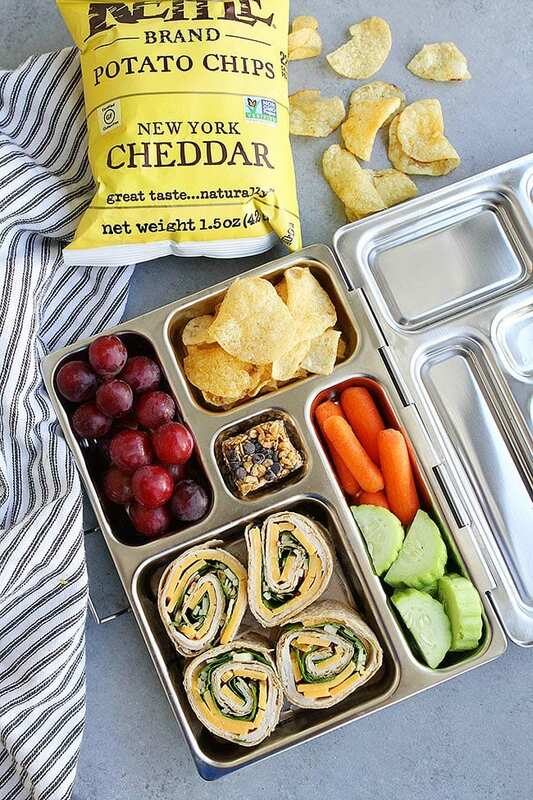 This is such a great lunch box idea! 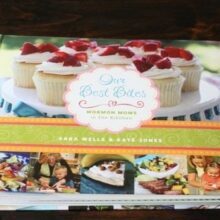 Totally making these for my kids tomorrow! Yay! I hope they like their lunch! Looking so good, so colourful and perhaps so delicious. I’ll definitely put this on my lunch box ideas.